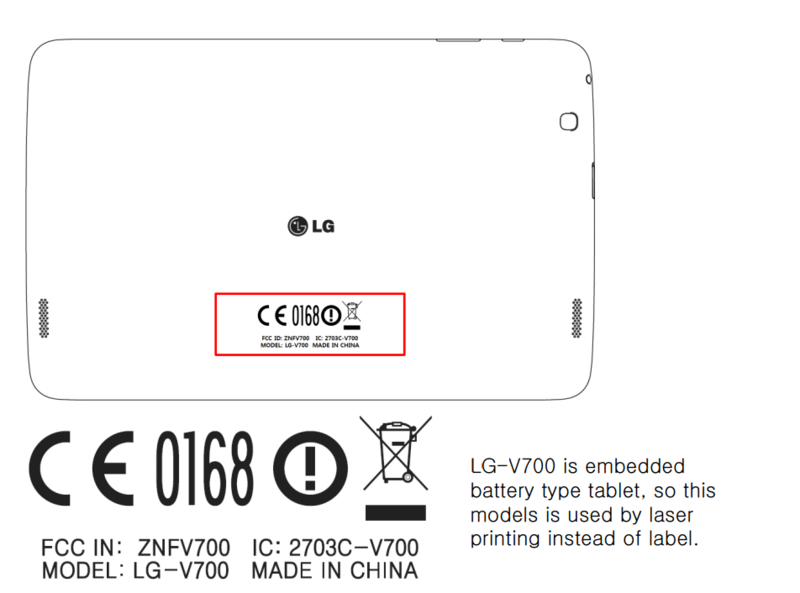 LG has submitted a new tablet to the FCC, the tablet goes by the name LG-V700 Dual Wifi. The device only supports Wifi and has no support for Bluetooth, neither for mobile networks. Information on the tablet is low, but the site MyLGPhones reports it should be an entry level budget running Android 4.4 Kitkat. According to the same site, the tablet should have a 5MP camera on the back and a 1MP front-facing camera. The name Dual-Wif appears to be coming from the fact that Wifi is supported on both 2.4 and 5 Ghz.